On Friday morning, when the doors swing open at the Langley Events Centre, Shearon will be part of a cache of about 20-plus seasoned coaches who will take part in Trinity Western University’s Complete Champion coaching symposium. The day-long event will cover the gamut of coaching from age-group specific approaches, to technical, mental, physical and inspirational methods through the 30-plus breakout sessions being offered. Among the keynote speakers scheduled for the event are motivational speaker and former Olympic sprinter Marion Jones and touted training expert Trevor Ragan. 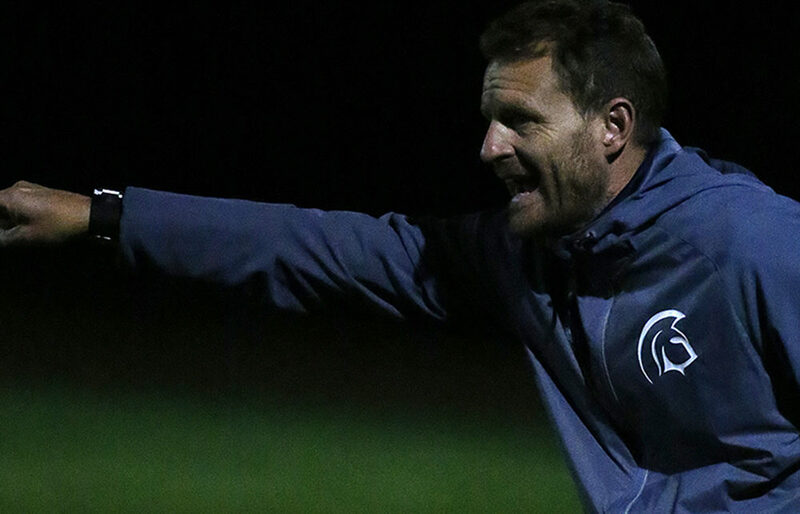 In Shearon’s case, his coaching ideals were crystalized over the course of serving a 15-year apprenticeship within the TWU Spartans men’s soccer team where he served as both an assistant coach and associate head coach. Now, in his second season as the team’s head coach, those ideals have been allowed to take root within the very foundation of the program. Although it certainly goes deeper than just those words, in a sense it doesn’t. Shearon came to Trinity Western University in 1998 as an assistant coach following his days as a top youth player in his native Cleveland and later at the university ranks with NCAA Div. 3 Wheaton College in Illinois. So much so in fact that one season in the early 2000s, a letter from within the team concerning him was delivered to then-TWU head coach Al Alderson. It was the tangible moment that Shearon used in self-reflection and one that ultimately led him to ask the question which forms the basis of his Friday seminar: Can we actually coach players out of love, out of having their best interests in mind? To that end, Shearon was able to identify some of the pitfalls that coaches can face early in their careers. From there, he identified the greatest strengths of the coaches who most positively impacted him as a youth. With that background, it’s much easier to understand where Shearon is coming from with Love Coaching — The No. 1 coaching trait to have to be a more successful team. “Over the years, that theme kept popping up,” he continued. “It really has in a sense become my coaching philosophy. One of the main values is that I need to have their best interests in mind. Winning and losing is not about me. It’s about trying to help my players reach their best potential. 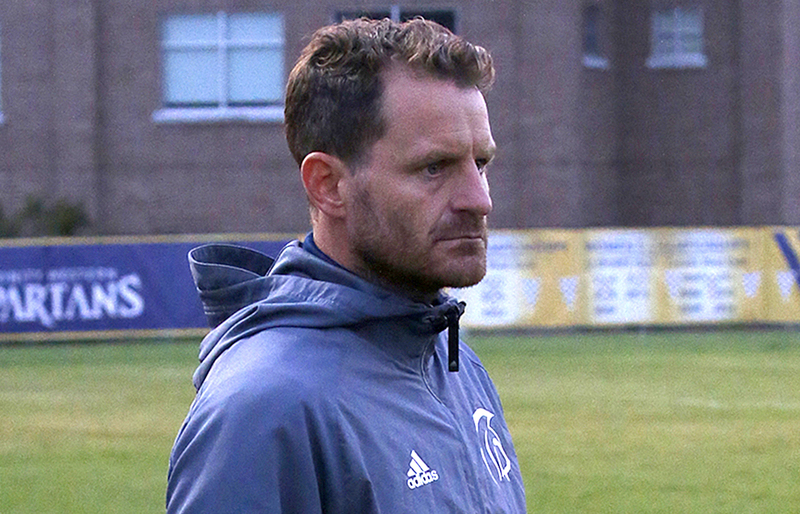 Its transfer to the pitch over his first two seasons as Spartans’ head coach has produced results which speak for themselves. Last season, after a number of lean years, Shearon led Trinity Western to a bronze-medal finish at the Canada West championships, the program’s first medal at the conference championships since 2008. Emotions are high this weekend as TWU, sitting second in the Pacific Division with a 6-4-4 record, plays host to a pair of 7:15 p.m. starts Friday and Saturday which wrap up the Canada West regular season.. The Spartans welcome the first-place UBC Thunderbirds (9-3-1) on Friday, followed by the Victoria Vikes (5-7-1) on Saturday. “We’re gaining traction,” the coach says. “It’s a good time, but it’s also a stressful time because we are clawing to establish ourselves as one of the best programs in B.C. Of course a positive result against the Thunderbirds would be huge heading into the post-season for a program which hasn’t medaled at nationals for seven seasons. TWU placed second in both 2006 and ’08, and finished third in both 2005 and ’09. Shearon will also hold a seminar entitled: Coaching High School Soccer: When all you have is game time.